Congratulations to our great actors and russian voice over artists: Boris Kofman and Kristina Guzikova. They have just came back form Boston, MA were had 4 successful sold out performances of their newest Checkhov play “Jubilee”! “Jubilee” was directed by young and talented GITIS alumni, Igor Golyak founder of Arlekin Players. Earlier this Igor came to Chicago to meet the cast and choose the play. The Jubilee” (sometimes known as “The Anniversary”) is probably the least produced of the one-act comedies Anton Chekhov wrote before 1891. During three month rehearsal period Igor and Chicago’s actors transformed classical script into an unexpected show. 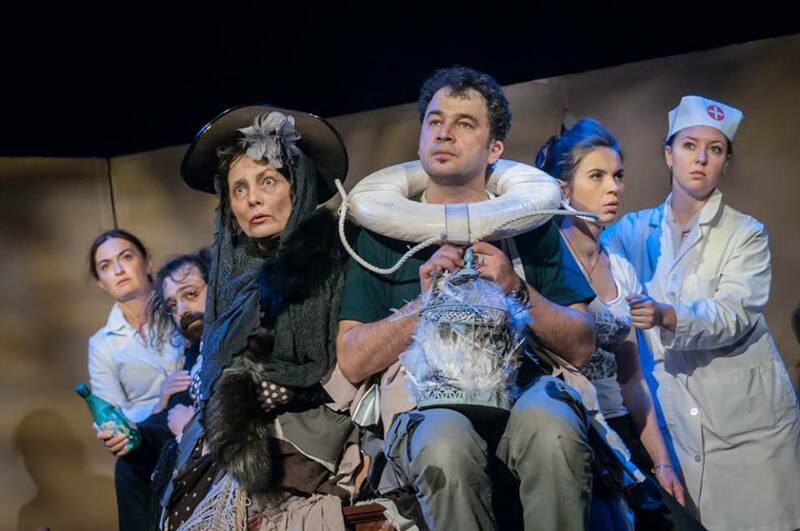 This entry was posted in Blog and tagged Arlekin Players, Chekhov, Kristina Guzikova, Russian actors, Russian Play, Russian Theater in America on December 10, 2014 by rvo.